Fewer and fewer parents in Flanders are allowing their children to cycle to school due to concerns about traffic safety. According to figures from cyclists’ union Fietsersbond, the number of children who cycle to school has dropped from 40% of children in 2000 to 30% today. Wies Callens, policy advisor at Fietsersbond, says parents’ reluctance to let their children cycle to school stems from serious safety concerns. “Figures from the Municipality Monitor show that only one in three Flemings consider it safe to allow a 12-year-child to cycle unsupervised,” he told VRT, referring to an extensive dataset that collects information on Flemish municipalities. But parents also have reason to be concerned. 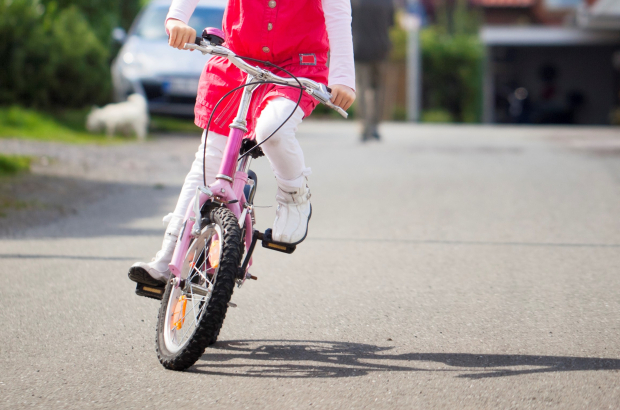 According to 2014 figures from Fietsersbond, children aged 14 and under are 63 times more likely to be involved in a road accident while cycling than other age groups. The Flemish cyclists’ union are holding a Kidical Mass across several Flemish towns on 1 September – two days before the start of the new school year – to demand more child-friendly cycling infrastructure. Just like the international Critical Mass events, the aim of this kid-centred rally will be to reclaim the streets by bringing together swarms of cyclists for a communal bike ride. Riding a bike on streets anywhere in Belgium is risking one's life. The Netherlands it certainly is not. Drivers here all have the right of way and are always in the right at all times. And they don't give a toss about other road users. Young or old. Driving a car here is no fun either but the risk to life is much less.